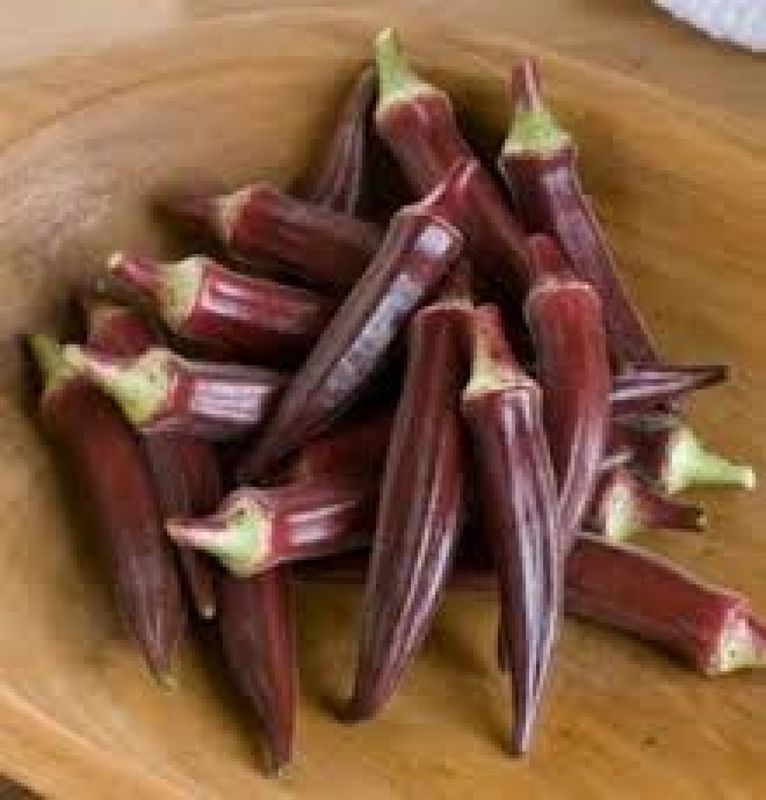 The plant look beautiful with the red-stemmed with common okra palnt height. 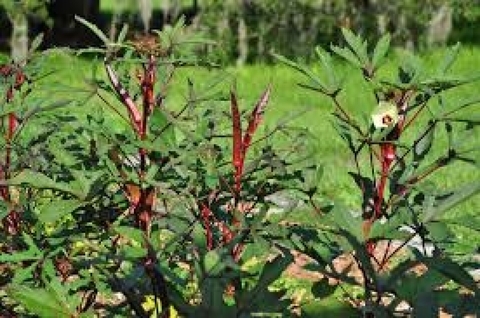 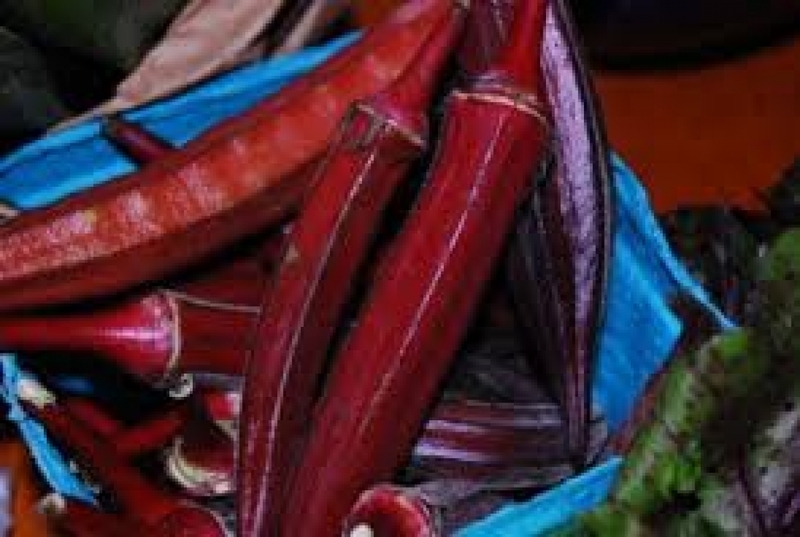 It will produce distinctive scarlet-red pods. 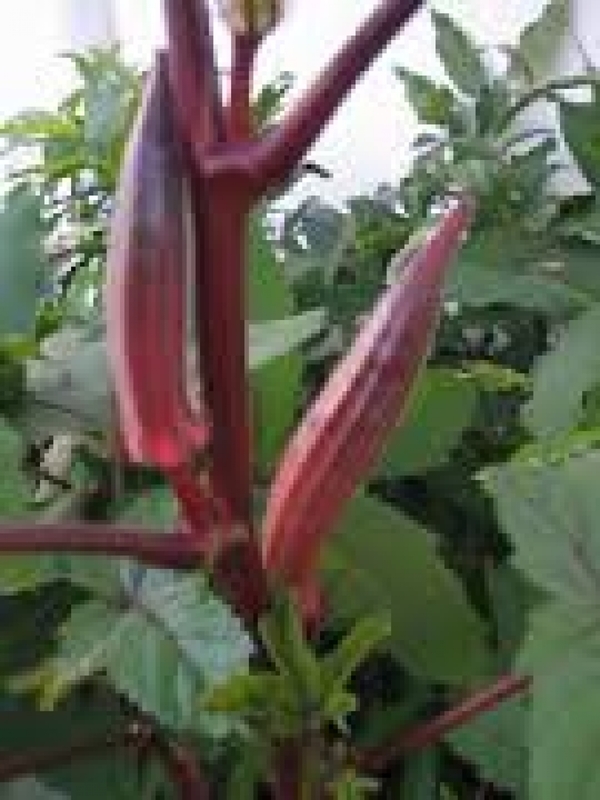 Tender, slightly ribbed pods are best when 3 to 6" long.